News and reviews, contemplations and considerations of Asian films and filmmakers. With the occasional piece on manga, dance, music, or whatever else Asian that might be of interest. Written by Dr. Stan Glick, a columnist for Asian Cult Cinema magazine. Sanguivorous (the word means "feeding on blood, as a bat or insect") is a unique vampire horror movie from Japan that's available now on DVD from Tidepoint Pictures. It's an idiosyncratic work, highly experimental. Twilight fans need not apply. 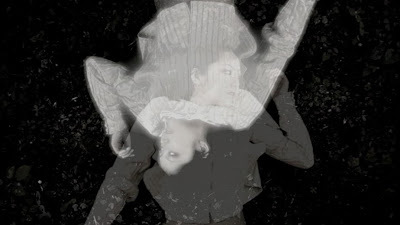 The basic story, such as it is, concerns a young woman who discovers that she’s descended from generations of vampires. 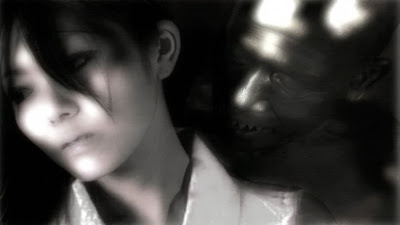 She first learns of this from her boyfriend, who reads to her about a Romanian vampire coffin that arrived on Japan's shores hundreds of years earlier. 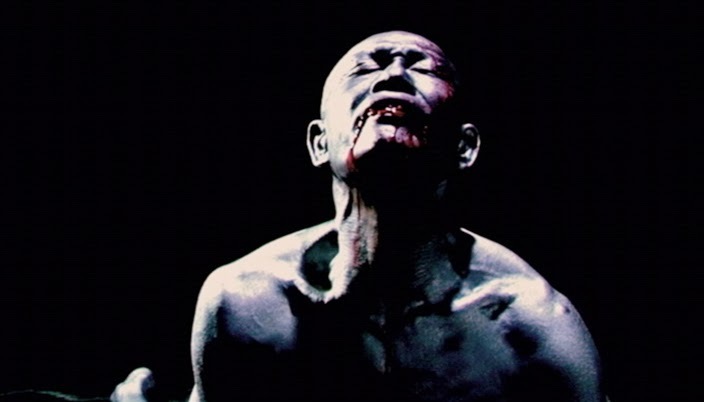 The film features the renowned avant-garde butoh dancer Ko Murobushi as the elderly vampire.The fourth character is a female vampire who introduces the girl to her heritage. But the film is not about story, it's about imagery and sound, the myriad things that can be done in film when talented people use their imaginations. It's for that reason that I've included a fairly complete list of the main creative contributors to the film. Normally I just list the director, sometimes also including the writer and lead cast-members. There is a very small amount of dialogue film, some music and sound effects, but Sanguivorous largely comes across as a silent movie, complete with title cards. There are short periods of high-frequency camera shake, as if there was a lesser earthquake when those scenes were being shot. Sometimes the film has color, sometimes it's tinted, and sometimes it's simply black and white. These latter shots are often very high in contrast. There is also a fairly broad range of grain in the print. Writer-director Naoki Yoshimoto has produced an intriguing and fascinating mood picture. It's certainly not going to be to everyone's taste. 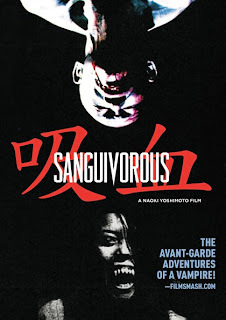 But if you have even the slightest interest in a remarkable exploration of the possibilities of film, watching Sanguivorous will prove to be an immensely satisfying experience. Purely as a service to interested readers, those interested can order Sanguivorous at Amazon.com by clicking here. Tidepoint Pictures may be a smaller distributor of Asian films, but it's been offering North American audiences many great films including A2, DEAD OR ALIVE, NORIKO'S DINNER TABLE, and UZUMAKI.